Aluminium Fabrication is a non-ferrous metal as it didn't consist of iron and due to non-ferrous metal which is more difficult to do fabrication as well as TIG welding on it compare to ferrous metal. Aluminum needs three times more heating power than ferrous metal like stainless steel. 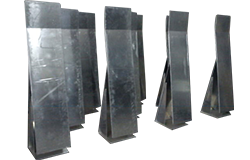 Grinding and buffing on Aluminium is quite difficult as it becomes soft and sticky during the Fabrication process. 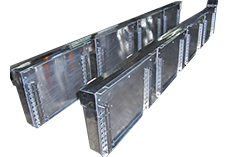 Our name is reckoned amongst leading and reputed industry for providing Aluminum Panel Work service. 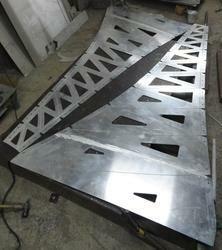 This Aluminum Panel Work service is provided by us as per the client’s needs. 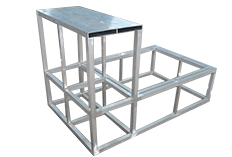 The Aluminum Panel Work is done by our experts from best quality material and in various specifications. 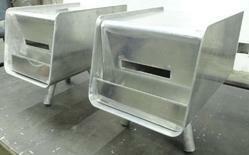 Looking for Aluminum Fabrication ?